Joe Forbes is a technology executive and entrepreneur with 30+ years of experience in evaluating, creating, and operating opportunities that have historically resulted in high investor returns. He has created five successful technology companies in wireless communications, engineering, hardware and software development, and clean energy, with public and private exits, leveraged buyouts, and successful capital formation with Fortune 100 companies. Joe holds a BS in Electrical Engineering from NC State University, and completed substantial work towards an MBA before moving on to take advantage of entrepreneurial ventures. Tom Gordon has 30+ years of experience developing and managing innovative technology companies focused on payments, real estate, and energy. He has been a founder of several companies and has raised over $30 million in from angel investors and venture capital firms. Tom was one of the founders of SynXis, which was the first Internet-based hotel reservation system that was purchased by Sabre Holdings (owner of Travelocity). He has held a number of leadership positions, and most recently was the Vice President of Software Engineering for OpenText Corporation (NASDAQ: OTEX). He began his career as a management consultant with PwC. Tom obtained his MBA from Vanderbilt University, and has a BS in Management Science from Virginia Tech. 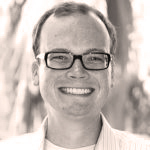 Taylor Brockman is a software development expert with 15+ years of experience creating and leading ventures backed by venture capital investors. His focus has been software product innovation and delivery experience in the mobile commerce, medical benefits management, and electrical smart grid industries. Taylor co-founded Motricity (NASDAQ: MOTR) in September 1999 and was instrumental in growing the company to more than $100 million in annual revenues and 500 employees globally. As Motricity’s Research Technology Architect, he invented, designed, and implemented one of the industry's leading mobile content delivery platforms – a platform that has delivered more than $3 billion of content to mobile phones. 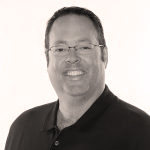 Ian DeCone brings 25+ years in of experience in product development, business development, technology strategy, and systems engineering for leaders in the wireless industry such as GTE Telecommunication Services and Verizon. Sample experience includes corporate technology strategy for cloud, wireless, and enterprise solutions; supply chain logistics; network operations; investment in startups focused on machine-to-machine learning; and Lean Six Sigma programs. He has catalyzed new business units generating over $100 million of revenue per year and created systems to uncover billions of dollars of corporate inefficiencies. He has a BS in Accounting from Merrimack College and a Master Black Belt certification from Verizon. 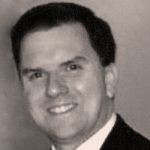 Ed White is a seasoned executive and entrepreneur with 40+ years of experience. In 1980, he founded Utility Translation Systems, Inc. (UTS), a successful remote meter-reading software company focused on the electric power sector. He sold UTS to Itron, Inc. in 1996 and served as Itron's Chairman until retiring in 2003. Mr. White currently serves as Chairman of Field2Base, Inc., a technology company that uses tablet PCs, wireless communications, and Field2Base software to support the mobile workforce for a variety of industries. He is also the Founder of White Ventures LLC, a private equity and commercial real estate development company. Ed serves as Board Member for the North Carolina Chamber of Commerce; is former President of the NC State Engineering Foundation; and is former Chairman for the Research Triangle Cleantech Cluster. Tom Noyes is CEO of Commerce Signals. He has 20+ years experience in banking, payments, venture finance, ecommerce, mobile, and product innovation. He has worked with leading banks, mobile operators, payment networks, and regulators globally to bring innovation to consumers. 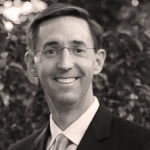 Mr. Noyes provides unique perspectives based upon his global experience as a senior executive with Starpoint LLP, Citibank, Oracle, Gartner Group, and various startups. He has built high performance global teams focused on bringing new products to market, both directly to consumers and to Fortune 100 companies. He is a also frequent guest on CNN, Fox, and ABC. 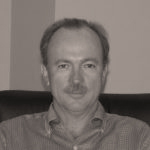 Kevin brings 30+ years of systems architecture and power expertise. As President for Power Analytics, the company is focused on the three most fundamental pillars of future of distributed generation, microgrids, and data centers: (1) design and operation, (2) secure communications, and (3) advanced optimization and control. Prior to becoming President, he served as Chief Technology Officer. Under his guidance the company introduced industry-leading capabilities for energy management and pattern recognition and transitioned the Paladin technology to a commercially viable platform, which today includes the current generation of Paladin DesignBase™ electrical design software, Paladin Live™ mission critical management software, and the microgrid controller. Kevin is the author and creator of the Power Analytics™ Energy Alignment Process and has to his credit more than 15 patents in analytical processes. 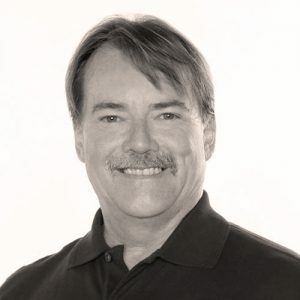 He has authored numerous papers on power, energy, and high availability architectures and over the past 25 years has led development organizations and provided strategic planning for companies including Eaton, Invensys, Computer Associates, and IBM. He was previously named a GreenTech Media’s list of the top 100 people you must know in Smart Grid. 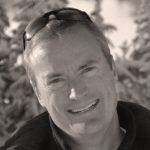 Kevin has undergraduate degrees in biochemistry and business and an MBA from the University of Colorado.